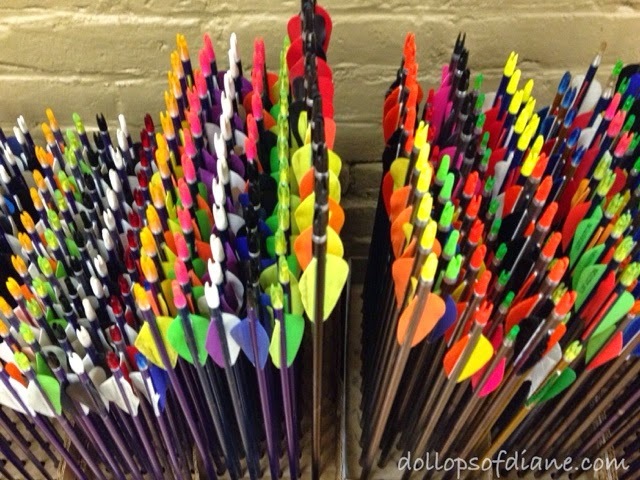 Ace Archers (Foxboro, MA): Review and Giveaway! *I attended a hosted event at Ace Archers and they are graciously giving away a prize to a lucky Dollops reader. As always, all opinions are my own. 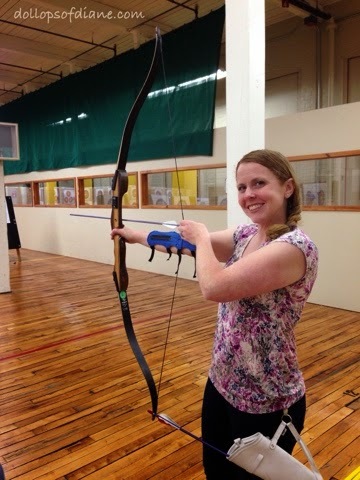 I was recently invited to try my hand at archery at Ace Archers. Truth be told even though I live in Foxboro, I had never heard of the archery range before. Therefore, I was excited to check it and to try something new. I have never done any type of shooting or archery in my life so I was definitely a beginner! We started off the class with the instructors/owners telling us about the equipment, going over safety precautions, showing us stances, more safety, showing us how to shoot, and you guessed it - more safety! I had never really thought about the whole risk factor of shooting the arrows. Clearly, I need to watch more Hunger Games. The bows were also way bigger than I thought they would be. I started off shooting way over the target but by the end I was hitting it (somewhat) consistently. They even put balloons on the bullseyes. There was definitely an added thrill when you heard it pop! No experience is necessary and all levels are welcome. Instructors happily help you with whatever you might need. Reservations are not required for Open Shooting but are recommended. 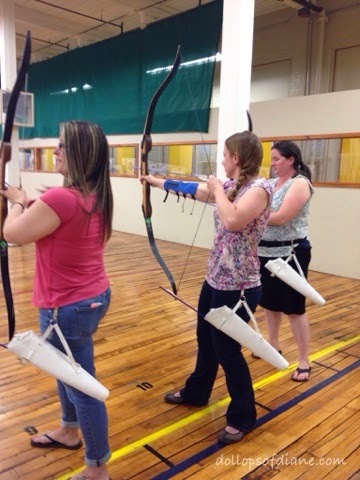 They host archery classes, birthday parties, corporate events, bachelor(ette) parties, and more! Want to test out your skills? One lucky reader will win a pass valid for 4-hours of range time during normal business hours. This can be broken up however you like - bring 4 friends with you for an hour session, attend yourself for 4 one hour sessions, bring a friend for 2 two hour sessions, etc, etc. Remember, archers must be 8 years of age or older. Enter via the Rafflecopter form below. Good luck! Can you eat healthy at McDonald's? The answer is no, right? McDonald's food is full of fat, fake stuff, and just kind of gross, right? You might stop there on the fly on a road trip, when pressed for time, or when in need of a quick dinner with overtired kids. You might go there for the kids to enjoy the air conditioned indoor play place on a sweltering summer day (guilty on that one!). However, you wouldn't eat there if you actually wanted a decent, fresh meal, right? Isn't that the general public consensus? 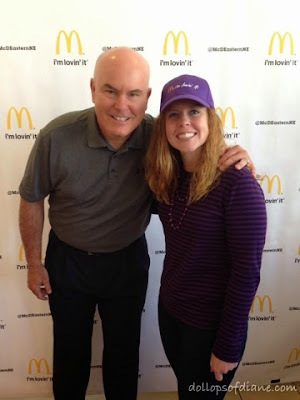 I was recently invited to an open door tour of McDonald's to learn about the quality of the food they offer. Given my preconceived notions above, I was skeptical. I figured I would go, see the restaurant tour, here what they had to say, but leave feeling the same way that I did when I got there. In reality though, that wasn't the case. I was pretty blown away by what I heard there which surprised me. The most interesting part of the day for me was listening to John Cisna speak. Have you heard of him? Nope, I hadn't either. John is a, small town, Iowa high school science teacher who conducted an experiment with his students where he ate ONLY McDonald's food for each and every meal for six months. Only after his experiment did corporate McDonald's find out about it. He must have packed on the pounds and became so unhealthy, right? Nope, he actually LOST almost 60 pounds and lowered his cholesterol. How is that possible? How could you possibly eat McDonald's multiple times a day for that long and actually become more healthy? John's sophomore students were actually the ones who chose his meals each day. They used My Meal Builder on the McDonald's website to find out the full nutritional information of all of the products and to build John's menu each day. They used the parameters of a 2,000 calorie diet and 15 required nutrients based on the FDA's recommended daily allowances. They were able to find that there were 56 meal combos that John could eat off of McDonald's menu to keep him within the goal parameters. The only nutrient that they could not keep within the daily allowances was sodium. John said that he generally consumed about 166% of the recommended amount for sodium which he compensated for by increasing his water intake. Ninety days into the experiment John had lost 37 pounds, 7 inches off his waist, and lowered his cholesterol from 249 to 170. These health improvements were the result of the McDonald's only food and doing 45 minutes of walking four to five days a week. Isn't that pretty crazy? I was totally surprised by the results but I suppose I shouldn't be. This is the perfect example of it's WHAT you eat and not WHERE you eat. There are healthy choices out there everywhere (yes, even at McDonald's!) but it's up to you to make the choice. One takeaway from my McDonald's tour is that you can customize your meals and orders at McDonald's to however best fits your needs. Switch the dressing, hold the sauce, remove a bun - whatever you need, McDonald's will actually do it for you. One of the reasons that John was able to lose weight and become more healthy, is because the food that McDonald's serves surprisingly (to me, at least) is actually not that bad for you. They use 100% fresh ground beef for their burgers. Produce is grown and shipped fresh (with most of it coming from U.S. suppliers). 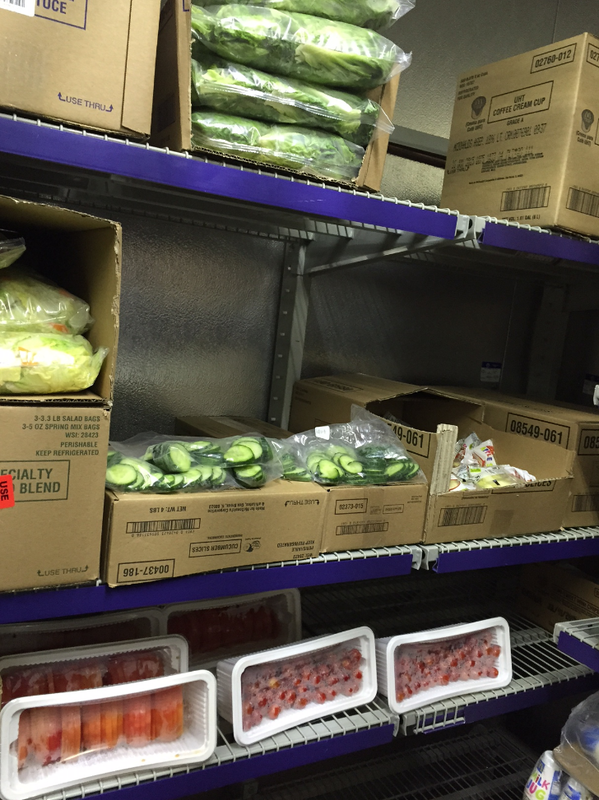 They use brands that you buy in the grocery store such as Dannon, McCain, and Tyson. 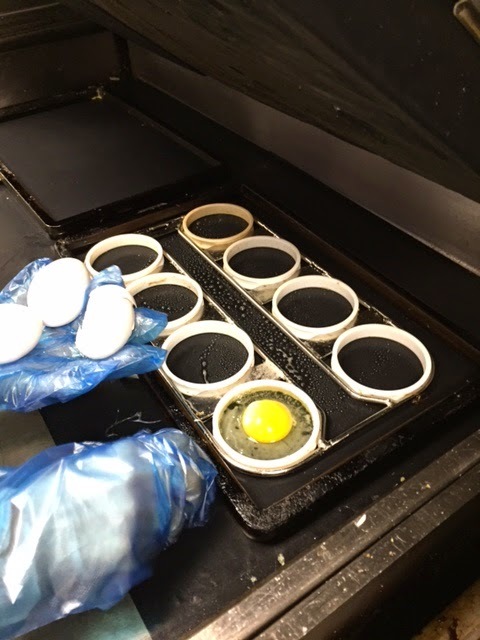 Those "egg rings" in your Egg McMuffin? Those are USDA Fresh Grade A eggs that were cracked right on the griddle for you. I know this one for sure because I got to head behind the counter and crack a bunch of them myself! For the record, I did a horrible job and broke a shell in it so they had to throw away the whole batch. Clearly, I was not meant to work at McDonald's! *Disclosure: I was invited to attend a McDonald's Open-Door Tour and received compensation for this post. As always, all opinions are my own. Daniel's First Red Sox Game! 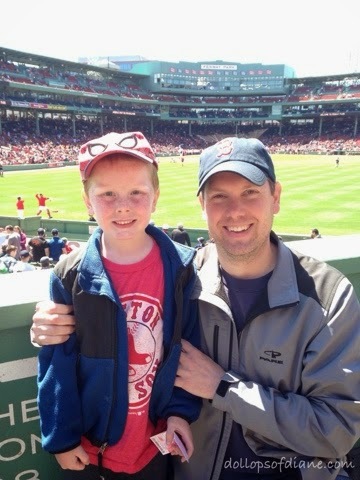 Last year, my husband took both Isabelle and Henry to their first Red Sox games. Since then, Daniel has been asking when he could go. So this past Saturday was the big day. We surprised him with tickets to the game and the result was...less than amazing! According to my husband, Daniel pretty much complained the whole time which led them to only staying at the game for about an hour. The results are not really that shocking considering he's only 4 and a half and never been a sit still for long kind of kid. I did think the excitement of the game and the junky food would be enough to have him last more than an hour but what do I know? The following day, I gave him an empty ketchup bottle full of water and let him make mud in the yard and it was pretty much the best day of his life. Go figure. When he got home from the game, the other kids and I acted really surprised and excited when he told us where he went so I think he caught on that it was kind of a big deal. So if you ask him now, he tells it like it was a great day which is hopefully how he'll remember it. My husband, on the other hand, will always know the truth! "Someone got a home run. I got a bagel. I got a Gatorade. I went with Dadda. I got ice cream. It was vanilla and chocolate with sprinkles. The grey team got three strikes." Want to see what the other two thought of their games? You can read Isabelle's story HERE and Henry's story HERE.